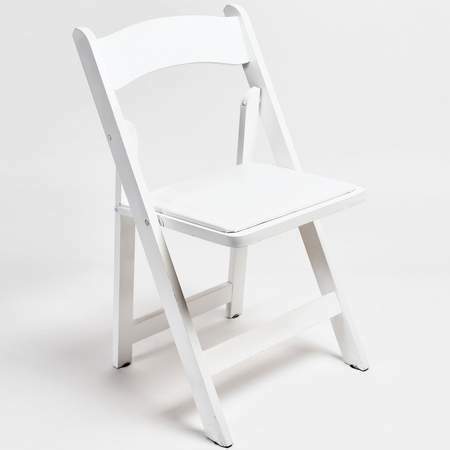 This chair will create a stylish and elegant seating arrangement at your next indoor or outdoor event. The chairs are made to look identical to a traditional wood folding chair, and seats are slightly padded for comfort. Also available in black.